Day 17 of the never ending challenge. Welcome Polished People! Today's theme is stripes! Kind of boring if you ask me. 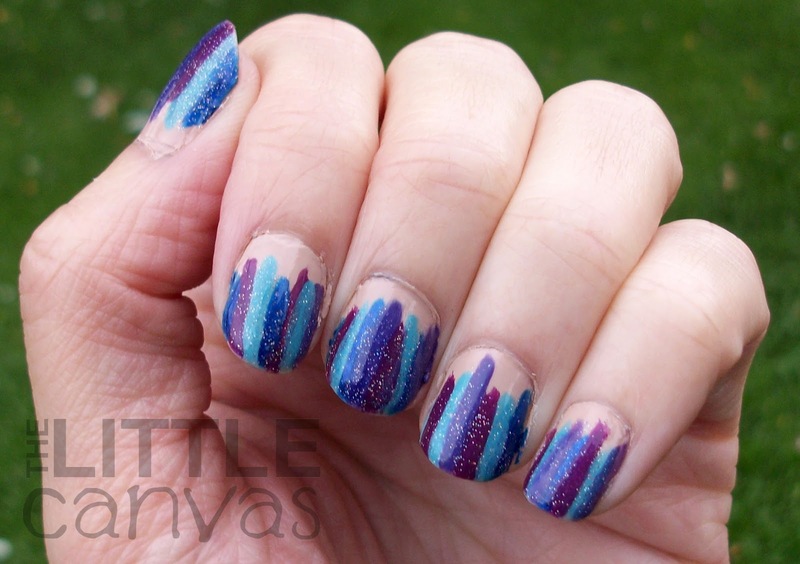 Not really anything too interesting that you can do with striped nails. I mean, I guess you could get some really neat manicures, but for me, the person who can't draw a straight line with a pen on paper, drawing one on a nail is even worse. 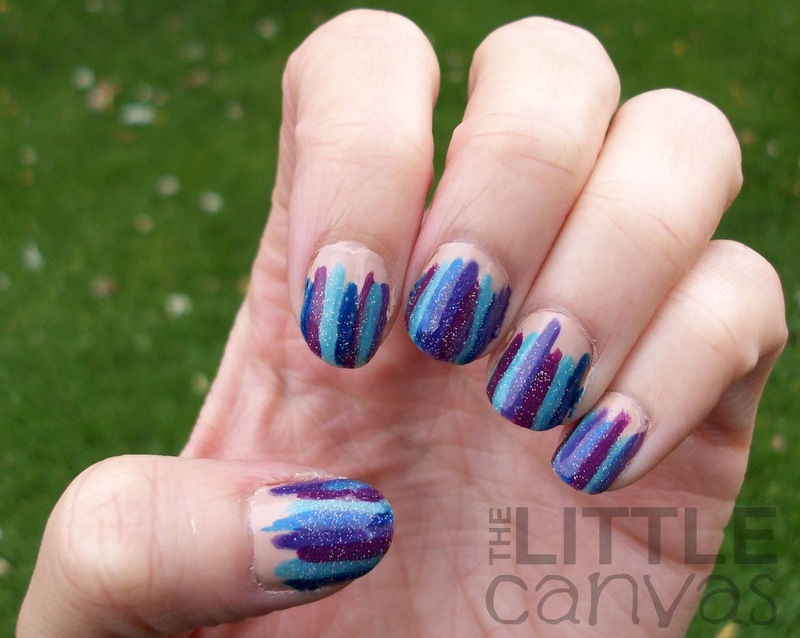 For this manicure, I originally was going to follow Nicole of Polish Me, Please! pink and grey plaid nail tutorial. I've yet to do a successful plaid manicure, and well Nicole's tutorial was easy to follow, so I figured I wouldn't mess it up. Leave it to me though, I did mess it up. Why? Well because it was so simple. Remember, I make disasticures out of every simple manicure I attempt. I actually think it was my color choice that made it so awful, but whatever. I'll try again soon. 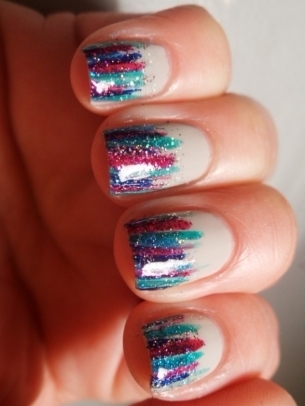 I went to Pinterest and found these nails posted from the blog Polish Amor. I fell in love with them way back when and decided that now would be a good time to attempt them. Polish Amor's turned out way better, so beware. Okay, maybe they didn't turn out that bad. I first started by painting on a base of Avery. 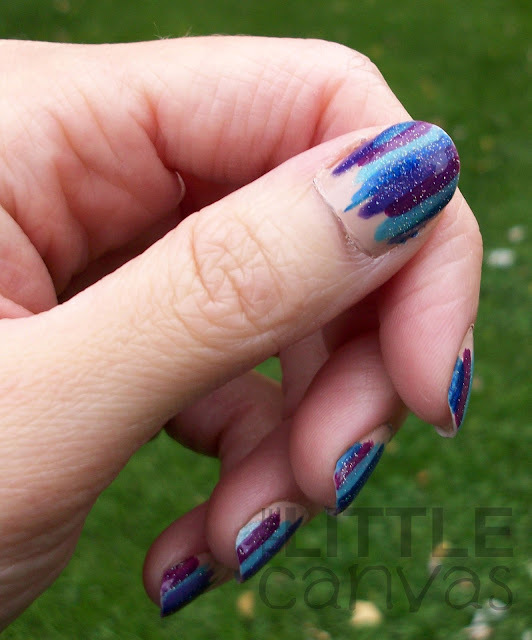 From there, I added my lines with my nail art brushes. I tried to unevenly add them, but I don't know they all blended and blurred together. 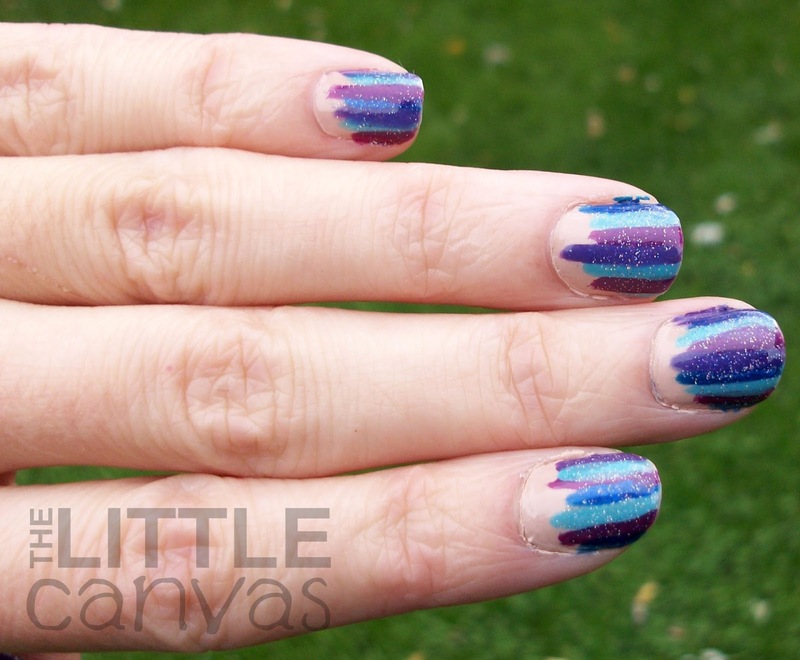 When the stripes were dried, I added some Fairy Dust over the top. Does anyone else's Fairy Dust take like 30 years to dry? 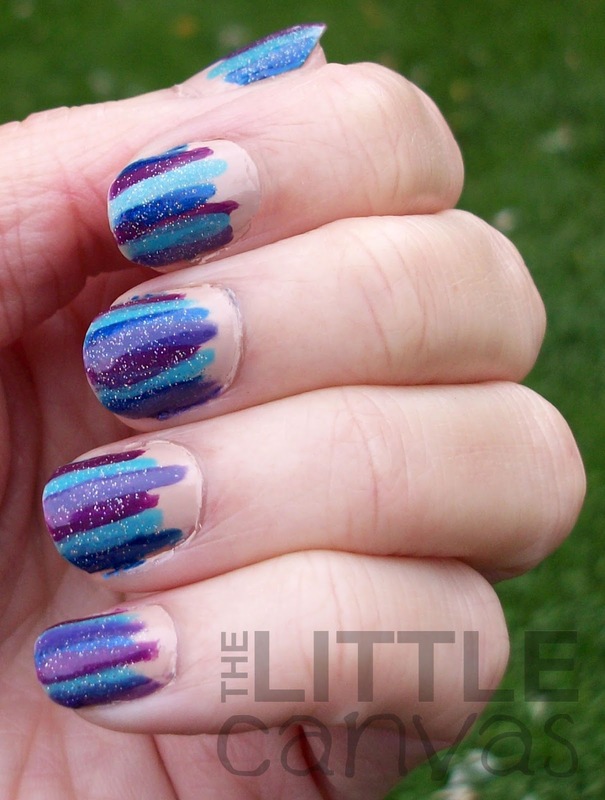 Of course, I added some Out the Door on top of these, but the Fairy Dust was still wet and i smudged and pulled my nails. It was lame. What do you think?? You like? You hate? Don't forget to check out the other girls manicures!